UNIFIT METALLOYS INC Black CARBON STEEL PLATE FLANGE, Size: 1/2" To 52"
Plate flanges are made under defined standards for uncompromising quality and performance. plate flanges are used in petro-chemical projects, pipe engineering and public appliances. 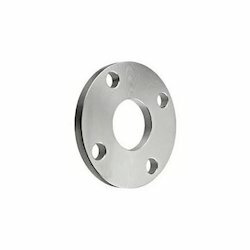 These plate flanges are forged or made up of steel, made with anti-rust coating, for lasting execution in any working condition. 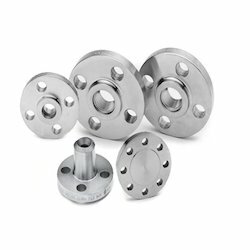 Specifications: Can offer Stainless Steel Plate Flanges as cast, forged, normalized, annealed, quenched (hardened) tempered condition with black or bright (proof machined) finish. We are offering Steel Plate Flanges to our client.